Click on the questions to view their answers. 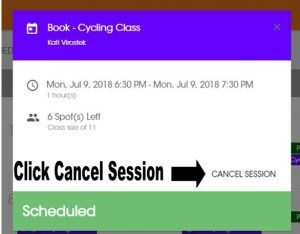 How do I cancel a class I booked? All Cancellations must be made at least 3 HOURS before the scheduled class. Cancellations will not be accepted by phone or text. 1. 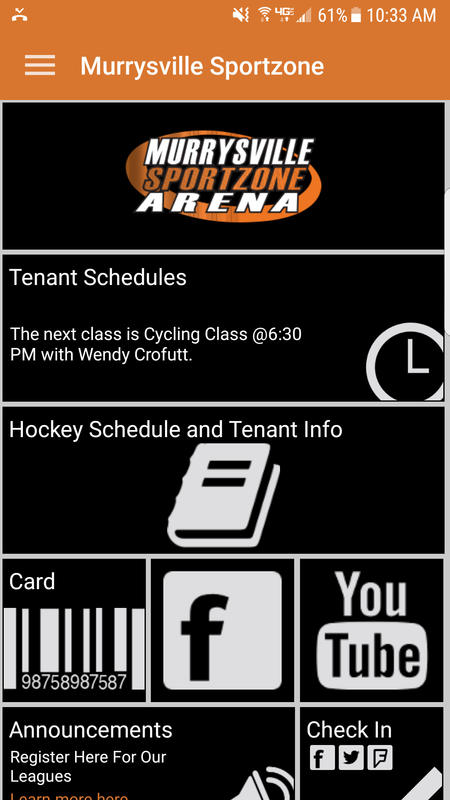 Download the app (Murrysville Sportzone) from the app store. 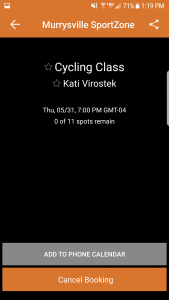 Is there a penalty if I book a seat and do not show up for class? 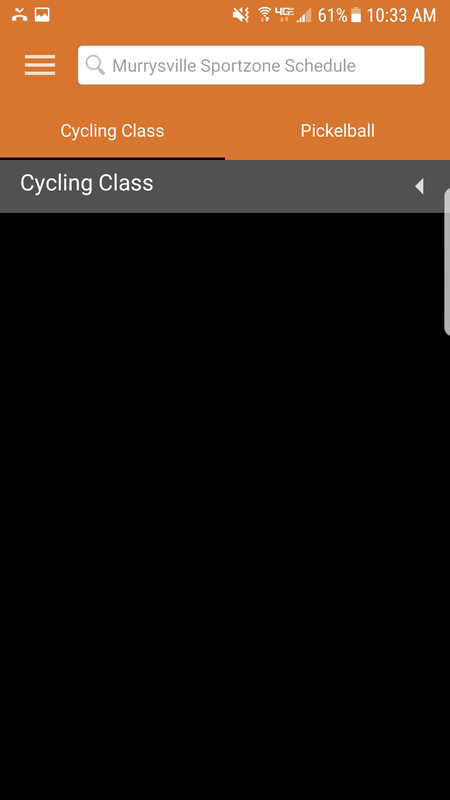 We only have a finite set of bikes for each class. 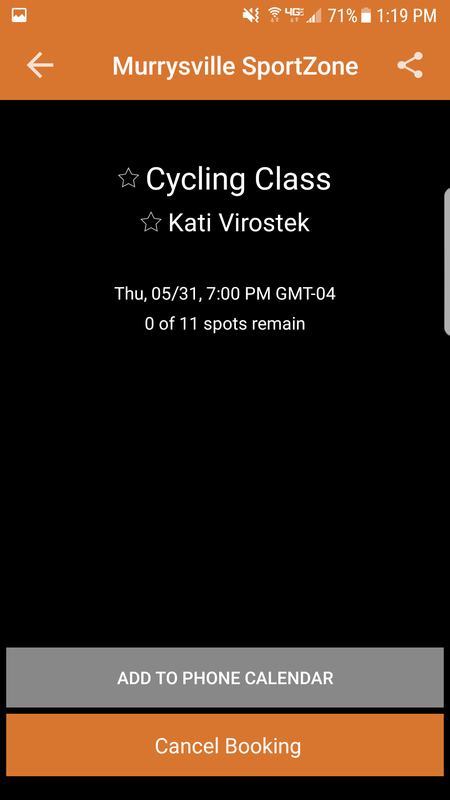 When you reserve a spot in a class, you are reserving a bike, which prevents anyone else from using that bike. When you don’t show up for class, that bike goes unused and prevents another student from attending the class and using that bike. Out of respect for your fellow students and the instructors, we ask that you cancel your reservation online, or through the app, at least 3 hours before class if you know you won’t make. PHONE CALLS ARE NOT PERMITTED. 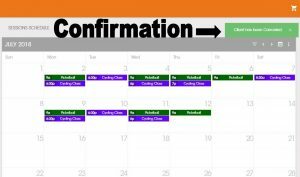 If you do not show up for class and did not contact us to let us know, you will be assessed a $15 “No-Show” fee, due before your next class if you currently have an Unlimited Membership. For Flex Packages, your missed ride will be deducted from the rides you have left. Please contact us if you have any questions about this policy. upstairs of the building located next to the outdoor dek hockey rink. Do I need to be in shape to take a class? 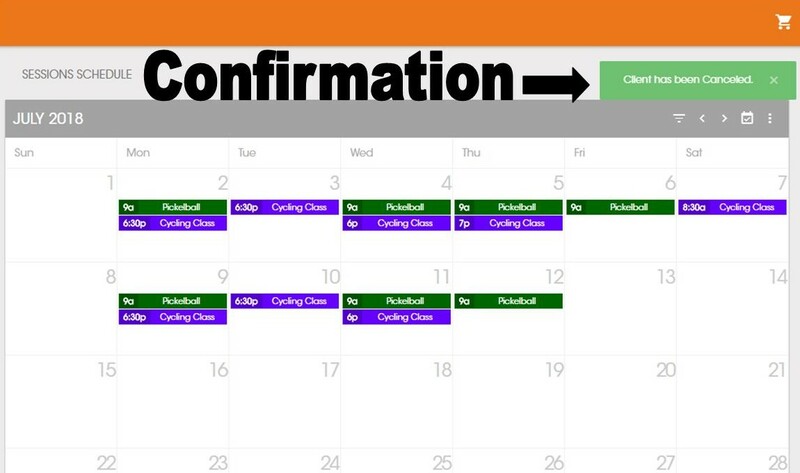 Our cycling classes are adaptable to all levels of fitness. Each rider is able to control the resistance level and speed of the bike. Our highly skilled trainers will encourage each rider to push his or her limits to perform to the best of their ability. No experience is necessary to participate in a class. We recommend everyone wears cycling appropriate attire and tennis shoes or cycling shoe, bring a water bottle, and a towel. We have a water bottle filling station located in the building, and have a limited number of towels available for those who need one. Do you have changing rooms or locker rooms on site? Yes. Men’s and woman’s locker rooms are located on the first floor of the facility. There are showers available in the locker rooms. We also have lockers available to store your valuables, but please bring your own lock. Each class lasts between 45-60 minutes, and includes a warm up, variety of hills, climbs, jumps, sprints, and a cool down session. Each rider controls the speed and resistance of the ride. What class is best for a first time rider? All classes are open to all levels of riders. Go at your own pace and remember to HAVE FUN! 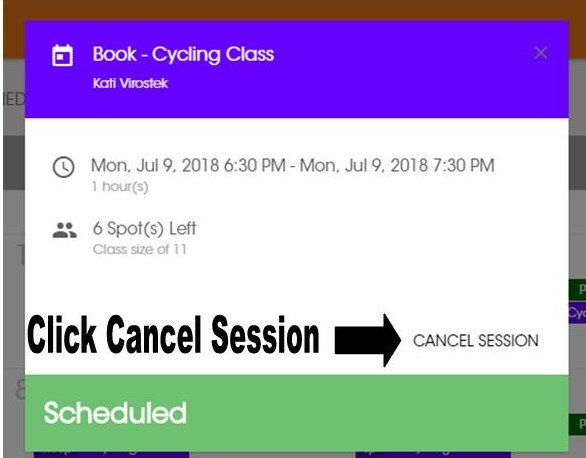 Click on “Book a Seat” on the center top of the homepage. You will be redirected to our login page. Please login with the user name and password that you created. Once logged in, please click on “Schedule”. 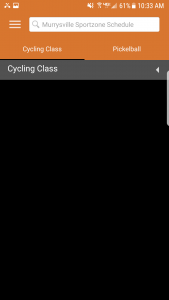 On the bottom left of the page click on “Cycling Class” and all of the classes for the month should pop up from there. 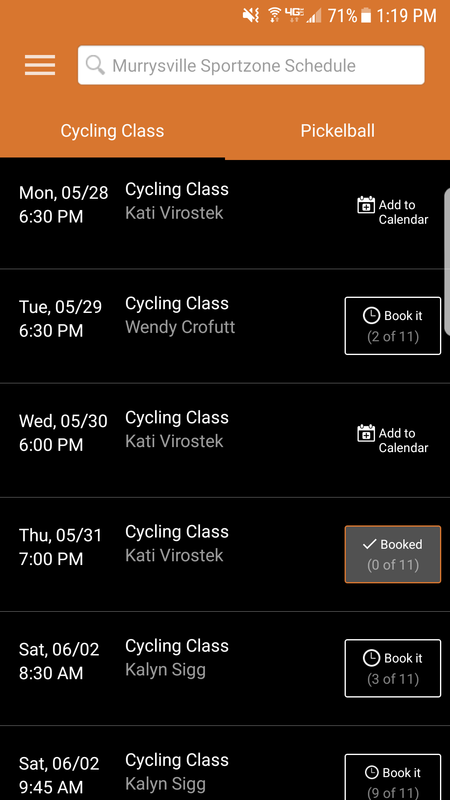 Simply click on “Book Me” next to the class you wish to attend and you are all done. 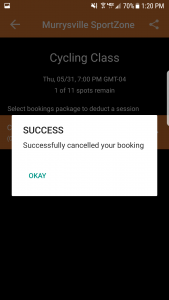 You would also cancel classes that you have already booked through this website as well. No. Our flex packages are designed for those with a busy lifestyle, but still want to save money. Do you offer membership plans? What is your class etiquette? CHECK IN!! Please be ready 5 minutes before class is scheduled to begin. Our waitlist then opens up to walk-ins. Treat the instructors as you would like to be treated. Once the music starts, no talking. Respect and be kind to other riders. Stay for cool down and final stretch. 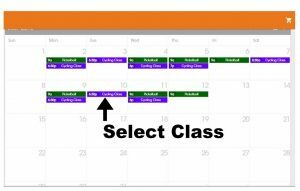 If you need to leave early, please let your instructor know prior to start of class. 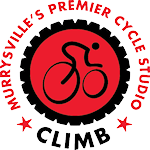 We can be reached by email, info@climbmurrysville.com, or by phone at (724) 325-2244.